Recommendation: You want romance, ghosts and evil; all in one package - you will get in this Nicholas Sparks movie. 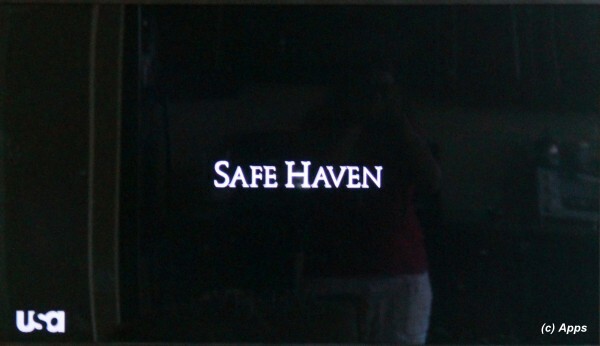 Safe Haven is a 2013 American romantic drama thriller based on the 2010 Nicholas Sparks novel of the same name. The movie stars Julianne Hough, Josh Duhamel and Cobie Smulders in the lead roles. I have read the book but had never watched the movie till now. The book had a different feel to it as opposed to the movie - and both felt absolutely right. The plot begins with a frightened woman fleeing from her apartment with a bundle and a bloody knife. She takes refuge at her neighbors but later she is at a bus stop in Boston, MA buying a ticket to Atlanta, GA with cops at her heels. The bus she takes stops at a small town South Port, North Carolina which she finds peace and calm, making her to take an impromptu decision to stay back instead of continuing. Introducing herself as Katie (portrayed by Julianne Hough) she takes a job as a waitress, buys a rustic home in the woods, makes friends with her neighbor Jo (portrayed by Cobie Smulders) and starts settling in despite the nightmares she has. She makes friends with Alex Wheatley (portrayed by Josh Duhamel), a widowed father of two - Josh and Lexie. And they fall in love eventually. A parallel plot of the Boston PD is trying to locate the same woman calling herself as Katie now. The detective assigned to the case, Kevin Tierney (portrayed by David Lyons) is hell-bent on searching for her. What is the dark secret that Katie holds? Why is the Boston PD looking for her? Who has been killed? Will Alex and Katie take their relationship further? Who was Katie fleeing from? What is the story of Jo? Julianne Hough seems much younger for her role but she had played the part very well. It's interesting to see her outside a dance floor for a change - well you would know what I mean if you have watched Dancing With The Stars TV Show. Josh Duhamel's son in the movie is named Josh - interesting by play. Another well-made movie based on a book that charmed me both ways. Although I do always wish for Nicholas Sparks to expand his horizons on geography though One way or the other he always ends up in North Carolina. a. I don’t remember Alex's son Josh being indifferent towards Katie in the book, but he is depicted thus in the movie. b. The scene where Josh falls into river and Alex runs for rescue comes later in the movie than it is shown in the book. c. The final scene between Kevin, Alex and Katie / Erin is modified for the film too. 2) Mike Pniewski portrays the role of Lieutenant Robinson, boss to Kevin Tierney and I remember him from many of his similar roles. 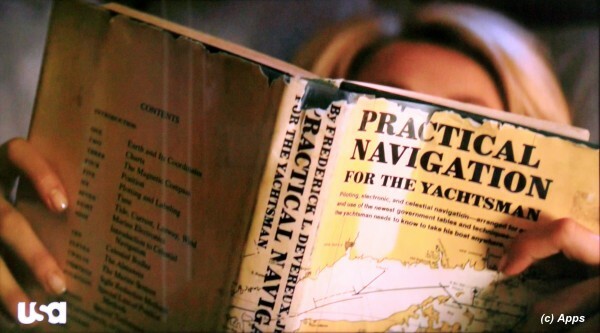 3) Julianne Hough's role reads a book on navigation, something I would not have pegged her role to pick and read.